Your domain name is crucial in representing your business online. A great domain name ensures your customers can easily find you, tell others about you and remember you. The competition for good domain names is strong and sometimes securing the best domain name is not easy. If you need help we are only a phone call away. 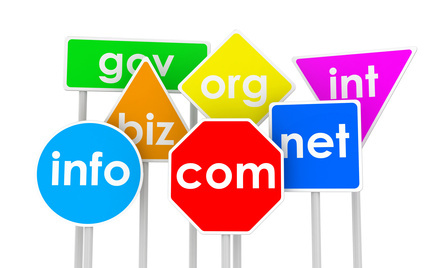 What you need to know about selecting a domain name? Here we share some of the secrets other companies won’t tell you for selecting a great domain name. Short, usually less than ten characters. Easy to spell and self-explanatory, i.e. CarsGuide.com.au. Literal, tells users what the site is about, i.e. Phones.com.au. Evocative, inspire feelings or emotions, i.e. RosesOnly.com.au. Memorable after a few exposures i.e. WebJet.com.au. Now it’s time to brainstorm some words. We recommend getting a few people together, get out a dictionary and a laptop and encourage the creative juices to flow. Search the internet for products or services that you sell, you might find some great ideas for names from product features.Road test your name with a few friends or clients. Make sure they can easily recall and type it into a browser. Google the name and click on images to get a feel of what pictures the phrase brings to mind for most users. Check to see if it is already registered at one of the many domain registration services. Domain extensions are the bits after the actual domain name and usually tell the user what kind of website it is. For instance, a .com website suggests it is American or International. A .com.au website says the website is for Australians. You can also get .org (organisation), .net (the ‘internet’, .com’s poor cousin) or even .me. How many extensions you should register depends on your brand, how unique your name is and whether you think it is likely to be copied. If your brand is Zeus.com.au, you do not want to see Zeus.net.au ranking above you in search engines. Once you have found your perfect name, domain registration is easy with the best in the business providing you with 24×7 expert support. We provide complete domain registration and management where you can securely register and manage your domain name portfolio. We provide support every step of the way via email, phone and chat. Our team is qualified and highly experienced to handle all domain name registration queries. Your domain registration details and confirmation will be sent to you once the registration process is complete.You can then manage it as you need from your own dashboard. It typically takes 24 to 48 hours for your domain name to propagate. If you need help to create and set up your website, look through our packages here. If your domain name is not renewed it could be registered by someone else. If your domain lapses, your website will not be accessible to your customers. Don’t risk accidentally losing control of your online presence. Your domain name is your online presence. If you lose control of your domain name it could be registered by a competitor and your clients will not be able to access your site. Stay in control of your domain names with Complete Cloud’s domain management dashboard. We provide you complete access to manage and renew your domain names, contact and billing details. View your domain portfolio, expiry dates and manage your renewals. You are in complete control. We send you renewal reminders 90, 60, 30, 1 and 0 days before the expiry date to ensure you have every chance of renewing your domain. Ensure your contact details are updated so that you can be notified when your domains are due to expire. 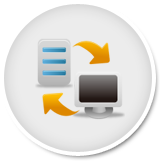 Domain transfers are free and fast, and best of all you can manage your domain portfolio in the one location where you are in control of renewals. Let us know which domains you would like to transfer and leave the rest to us. We are experienced in transferring domains and our industry knowledge allows us to resolve any issues you might have with domain transfer. Forget about waiting around for a company to get back to you. With Complete Cloud you have complete control of your domains. Manage, update, renew and transfer yourself – or leave it to us! It’s up to you. The transfer process for a .com.au domain name is free and as easy as you forwarding an email with some domain information. It takes between 3-5 days to transfer a domain. The transfer process for a .com domain name is free and can take up to 5-7 days. Our expert team can guide you through each step.